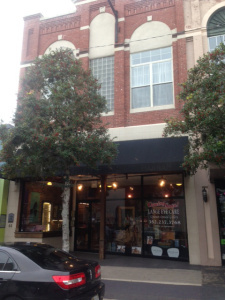 Michael Lange Optometrist opens high end optical and nutrition center in downtown Ocala Florida. Michael Lange Optometrist expands Lange Eye Care . Lange Eye Care Uptown Optical Gallery and Nutrition Center. This entry was posted on February 13, 2014, 6:22 pm and is filed under Uncategorized. You can follow any responses to this entry through RSS 2.0. You can leave a response, or trackback from your own site. Dr Michael Lange and The Lange Eye Institute throw Annnual Fall Festival in The Villages. Dr Michael Lange and his annual Christmas Extravaganza at The Lange Eye Institute were a big hit. Benefits of Astaxanthin Video by Dr. Michael Lange Optometrist and Nutrition Specialist. Dr. Langes Ocular Health U-tube channel. Michael Lange OD discusses Natural dry eye treatment.